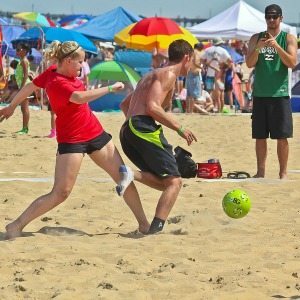 Soccer in the Sand is a two-day, small-sided, 5 vs 5 beach soccer tournament played in the sand with goalkeepers creating lots of shots and goals! Every team will be guaranteed 3 games filled with lots of touches on the ball and an environment to try all your latest moves. The entire family is encouraged to come and enjoy the games and the beach.